I’m in the middle of a series of blogs on why we bother translating the Bible into smaller languages. This is an important question because the overwhelming majority of languages still without a translation of the Bible are spoken by 10,000 people or less and some are spoken by less than 1,000. In Ghana, there are 18 languages with fewer than 10,000 speakers each. The languages without translations in Ghana are mostly smaller languages. So this is a very relevant question. If 10,000 is too few to translate, then is 50,000, or 100,000 enough? Perhaps one million should be the limit. To answer this question we need to back up and ask why we translate at all. That leads us to ask what God thinks of the fact that there are many languages in the world. Is that part of his plan? Are they a curse? Should we be trying to get rid of them? What place, if any, do these languages have in the plan of God? These questions lead us inevitably to Genesis chapter 11 where we have the story of the Tower of Babel. Let’s build a city with a tower that reaches to the sky! We’ll use hard bricks and tar instead of stone and mortar. We’ll become famous, and we won’t be scattered all over the world. These people are working together because they all speak the same language. This is just the beginning. Soon they will be able to do anything they want. Come on! Let’s go down and confuse them by making them speak different languages—then they won’t be able to understand each other. So the people had to stop building the city, because the Lord confused their language and scattered them all over the earth. 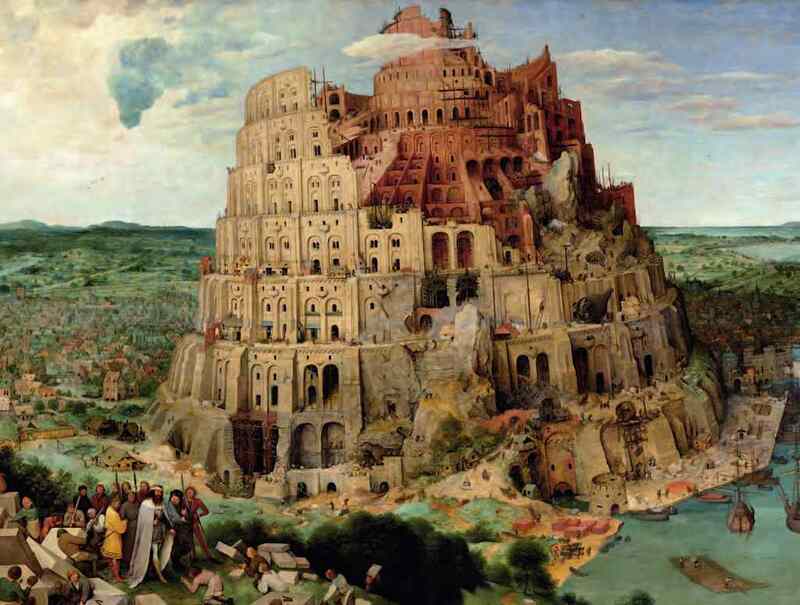 That’s how the city of Babel got its name. I do not believe God’s judgment is about retribution, but a manifestation of hard-edged mercy. Judgment is an illumination of the ugliness that lurks within us, bringing to the surface all that we would otherwise bury so that it might be acknowledged, named, repented of, and ultimately healed. The experience of missionaries and of churches shows over and over again that local languages and cultures are wonderful vehicles for faith and redemption. Where they have been seen as a problem – as in some mission efforts to native North Americans – missions has often had little result. Where the church has tried to promote a common language, as was the case for Latin in Europe, the result has been weak and distorted belief. Paul’s teaching that we are divided into different peoples and languages so that we would seek God works itself out in evangelism and missions every day and year after year. God s purpose, that the division of people into many peoples and languages would help them find him, is more than a theoretical bit of theology. It works in practice, on the ground, in the real world. Why do we translate into smaller languages? Because it works. It works because God made those languages so that the people who speak them could find him through them. Can a language be too small for that to be a good thing? This entry was posted in Bible translation, Faith now, Heart language and tagged small languages, Tower of Babel. Bookmark the permalink. I’ve thought how many people have you brought to the Lord in your life. You being a pastor, elder or any church member. Here is an opportunity for a translator, person or couple, t reach 50 or 100 for the Lord. PNG languages are nearly all about 1,000 +/- people. We’re translating for them. Thought-provoking post, thank you! God is a personal God who is involved in front or behind the scenes everywhere. He doesn’t want an earth full of drones. His creativity is evidenced in the variety and in every people group’s story. When our story is centered on Jesus, His great mercy brings order and fruit; when our story is self- and idol-centered, He allows the chaos and devastation to cause us to cry out for Him and seek Him. Severe mercy.